Most popular style of bottom closure boxes is Auto bottom with display lid because these are efficient and flexible. Efficiency is the top priority of retailers and customers. These boxes have auto lock bottom and a fold-able top display lid; it makes them convenient and flexible than other types of folding cartons. These are easy and quick to assemble, squeeze the box, and it will pop up in perfect shape with auto-lock bottom. Fold the top display lid and locked it into the vertical display panel. You can customize the top lid which attracts customers when display on retailer shelf. These boxes are suitable for wide range of products. Auto Bottom With Display Lid: Products incline to sell better when displaying in an efficient and high-quality packaging. When you think of a unique packaging for your new product, then corrugated or folding carton box will be the first thing that will come into your mind. By choosing the right folding cartons, you can end up a winner. There are hundreds of box styles for folding cartons out there, and new are coming each day. 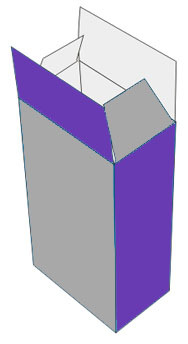 Customers and retailers prefer boxes with bottom closure; it gives extra support to the product. 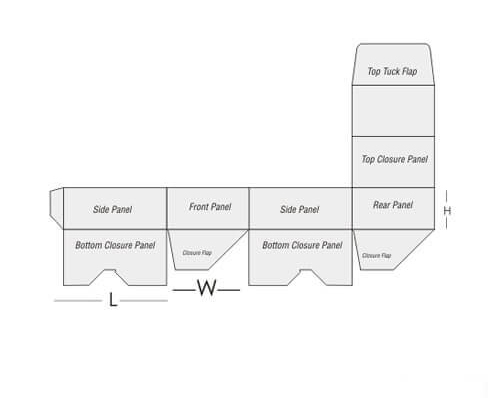 Depending on the style, shape, and size of products bottom closure boxes comes in three different forms. To give your packaging a unique and creative look the finest and alluring option is auto bottom boxes with display lid. The top of the box has a crease in the middle to fold it in half to the center which provides uniqueness to packaging when displayed. The folded top lid is an innovative feature that is ideal for point-to-purchase display. These boxes provide exceptional protection and are light-weight. These boxes are the perfect solution to reduce product packaging cost. You can fold back these boxes and can store them for later use. These are much cheaper than tuck top auto bottom and snap bottom boxes. Auto bottom with display lid boxes protects your product from any damage. The bottom flaps can be auto-locked give extra security and support to your product. 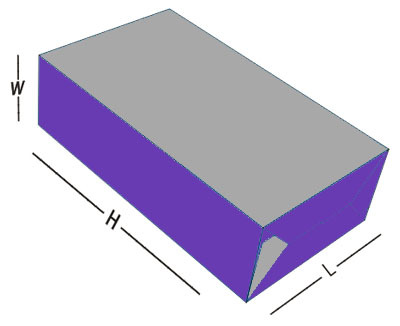 The locked and composed base of this box can withstand the weight of the item and keep up its unique shape through the whole distribution process. Auto bottom with display lid boxes varies in size and thickness depending upon the protection required. These provide more durability and strength then 1-2-3 bottom boxes. Auto bottom with display lid boxes has an auto lock bottom and top fold-able closure display lid. They might look quite complicated, but they are easy to assemble. The box can be squeeze due to which box pops up in its original shape and the bottom of it would lock and seal. The prolonged top lid placed is proficient and able of being fold into double flaps. The top lid can put into the back wall of the box. While displaying on the shelves, the top lid can fold to a display header. Auto bottom with display lid boxes often delivers flat for compact storage. You can assemble them later. The base and body of the auto bottom box with display lid can fold into a flat shape. Due to its compactness, you can store these for later use. These boxes are easy to ship due to its compact storage property which cost you less. It also makes these boxes easy to handle and use. The bottom of the box can be re-established to restore its unique fixing status by stretching the box. Auto bottom boxes with display lid do much more than holding and protecting your brand. These can also use as brand awareness and marketing tool. Fold the top cover as display header on counters shelves. You can print product information, your company’s logo or name, eye-catching design, a call-to-action or anything you want to write. Furthermore, these boxes can customize with different coating, treatments, and adhesives. Moreover, for more customization, you can use various printing techniques. These boxes come in a variety of size and colors so they can be fit to any industry. Custom Packaging pro has the specialty in folding carton boxes. They provide high-quality packaging and boxes. Our auto bottom with display lid boxes will help you to present your product while building and enhancing your brand value. Contact us today if you want your ideas to come to life.